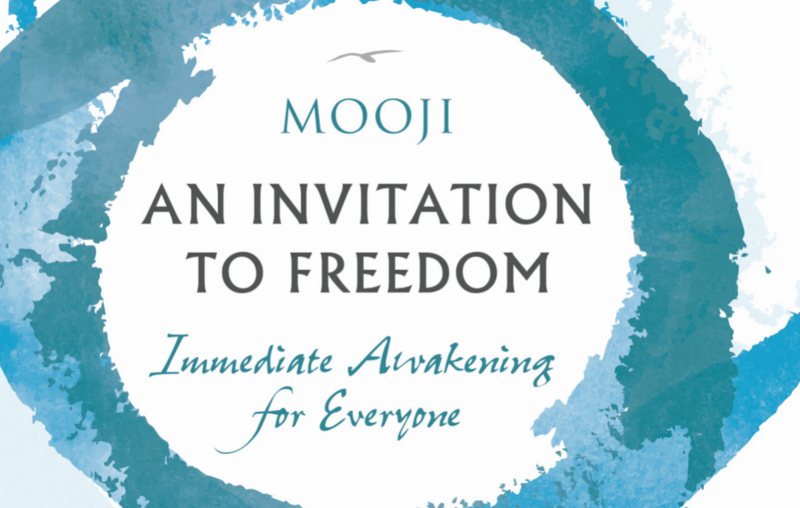 We are delighted to let you know that Mooji’s latest book and audiobook, An Invitation to Freedom, has just been released in the US and Canada by New Harbinger Publications. An Invitation to Freedom is a profoundly clear and direct pointing leading to Self-realization. If you are longing for this and the urge to be free is alive and compelling, this Invitation is for you. Mooji’s pointing effortlessly cuts through the superficial veils that appear to hide the Self and swiftly introduces the mind to its source, the heart. An Invitation to Freedom is recognised by today’s seekers as a fresh and auspicious gift of grace from God—the Infinite Self. The Invitation is quick, simple and direct, and could lead to the greatest discovery you make in your life. This unique book and audiobook read by Mooji is now widely available the US and Canada through major retailers. More information can be found at New Harbinger Publications.